When most people hear about the ten-item wardrobe for the first time, they think it sounds restrictive. How and why would I want to only have ten core items per season? But what they don’t realize is the ten-item wardrobe is incredibly freeing. How is that possible? Watch today’s video to learn more. 📍 You curate ten core items per season (if your seasons are similar, you can combine fall/ winter and spring/summer). 📍 Core Items can include dresses, skirts, blouses and pants (jeans or shorts count too). 📍 To round out your ten-item wardrobe and make it wearable, include extras: tee shirts, cardigans and sweaters, outerwear, special occasionwear, shoes, accessories. 📍 Your extras will be customizable and tailored to your lifestyle. For example, if you live in a sunny location near the beach your extras might include lightweight tees, lightweight cardigans, sunglasses, sun hats and strappy sandals. 📍 Store out-of-season clothes to take confusion out of your morning dressing session. 📍 Switch out your items each season to feel as though you’ve gone shopping. Only purchase new items when you have a need in your wardrobe. 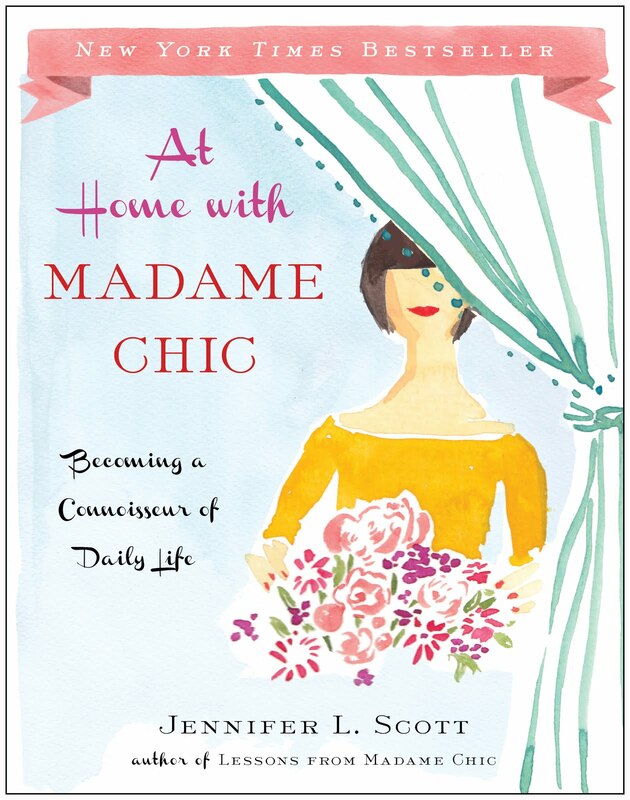 For more in-depth study of the Ten-Item Wardrobe, check out my book, Lessons from Madame Chic, watch my TEDx talk, and take my eCourse on the Ten-Item Wardrobe. ✔️ You no longer have long, indecisive sessions of trying to figure out what to wear. ✔️ You express your true style everyday by wearing clothes that you feel beautiful in. ✔️ You look presentable always and thus, feel more prepared for any circumstance that comes your way. ✔️ You save money because you are no longer aimlessly shopping, buying clothes that you never actually wear. ✔️ Your intentionality with clothes shopping seeps into other aspects of your life as you become more discerning about what you buy. ✔️ Your closet has room to breathe and isn’t a crammed-with-too-many-clothes mess. ✔️ You are not a slave to the trends, but wear your own unique style. ✔️ You get creative about wearing and pairing your ten items with the extras. There is freedom in creative expression. I hope you enjoy the motivational ten-item wardrobe chat in today's video. 📍 Thank you to everyone who has taken my new eCourse, How to be Efficient at Home. I have been overwhelmed with your support! There are currently over 1,000 comments on this new course. I apologize I am unable to respond to each of them but I love reading what you have to say and seeing you connect with fellow Daily Connoisseurs there. The price for the course is still only $5 (the price will be raised to cover costs mid-April). You can access the course whenever you like and re-watch the videos at your leisure. 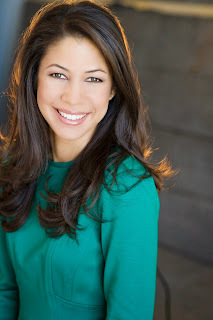 Toni writes, "Hi Jennifer, I'm a big fan of all of your work; it has been a true blessing to me in so many ways! I have enjoyed all 3 courses thoroughly and I want to say thank you for making them so affordable .I am so glad to be able to support your efforts by purchasing these courses." Toni, I appreciate your support of my work. I am thrilled you enjoyed all of the eCourses! I had taken my two children (aged 4 & 5) to the library one afternoon, and while they were deciding what to borrow, I sat in a chair in the corner. 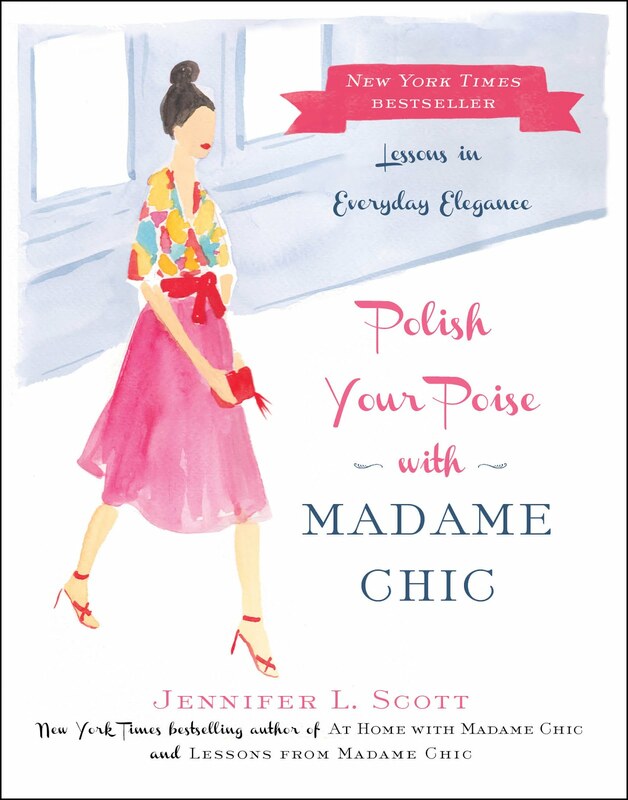 As I waited, I ran my eyes up and down the rows of books beside me, and my gaze settled on “Lessons from Madame Chic”. The blurb on the back interested me, so I borrowed the book and over the course of the next three weeks, I devoured it from cover to cover four times. This is quite a feat for me, as I have only managed to read a handful of books in their entirety since having the kids. Through reading your book, you have - in a way - given me permission to live my life in a way I had previously admired but had deemed unrealistic for me. 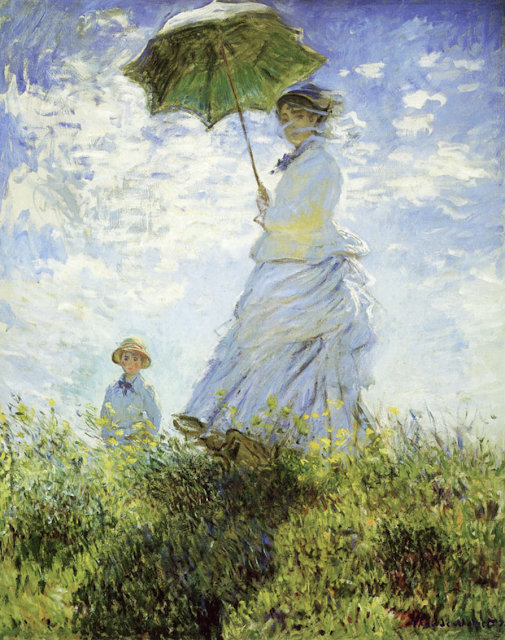 After reading “Lessons from Madame Chic” I have visited our local art gallery twice - something I had not done since having the children 5 years ago, the radio is now constantly on the national classical station, and I am - every time I can - improving my wardrobe with the goal of eventually loving everything I own. These little pockets of joy in my every day help energise me for my daily routine, and the joy and energy spill over into other aspects of my day. So, Thank you, for unlocking whatever mind-block was keeping me from living an elevated life. Lou, your testimonial brought me so much joy. 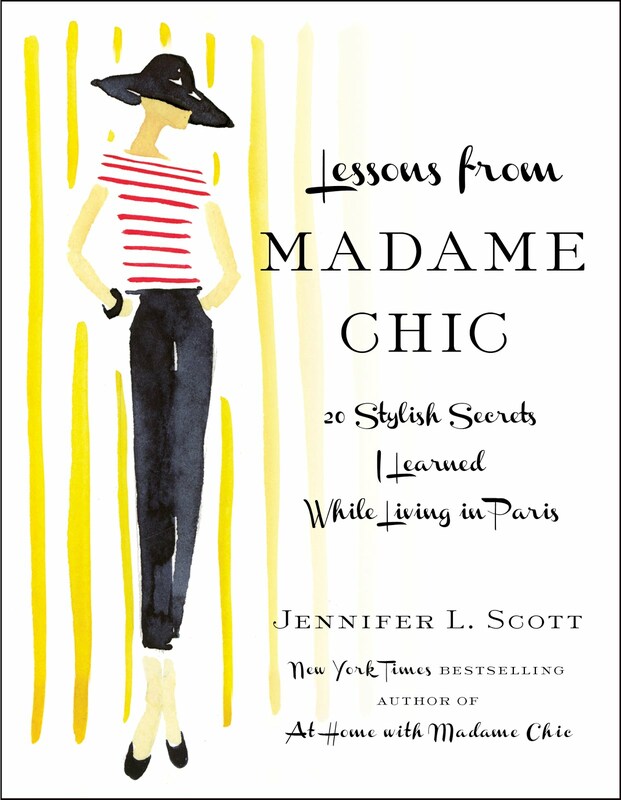 I really appreciate you reaching out to me and telling me how Lessons from Madame Chic has influenced your life. Thank you! You are inspiring to all of us! I would love to hear other ways in which you find the ten-item wardrobe to be freeing. Let us know and your comment could be chosen as comment of the week on The Daily Connoisseur. FTC: This post is not sponsored. Some links may be affiliate. Happy Friday! Friday just might be my favorite day of the week. I love that the week is winding down to a close and the weekend, with all its possibilities, is at hand. 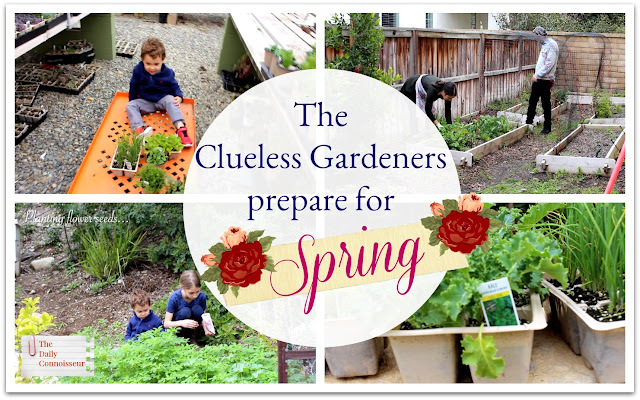 On today's episode of The Clueless Gardeners, we prepare our garden for spring. Gardening is a family affair. It's very important for us to involve the children with choosing the plants and even planting them. They just love seeing our fruits and vegetables grow. They also love planting seeds and watching them sprout. There's nothing like getting your hands dirty when you are a kid! 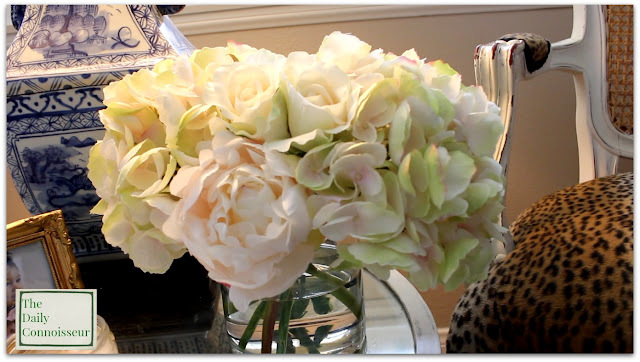 In today's video, Ben plants my favorite rose, The Double Delight. It is the most magnificent rose to me because of its beautiful color (two-toned pink and white) as well as its amazingly sweet fragrance. 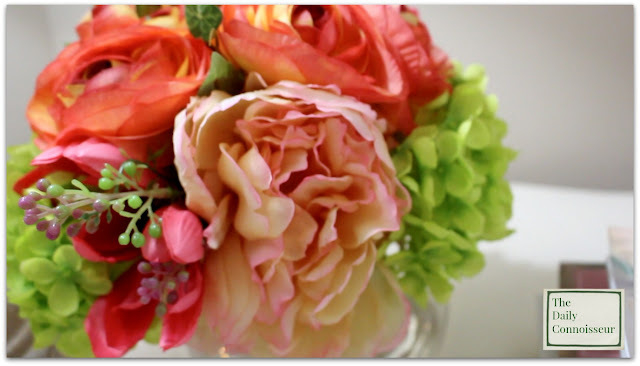 I would love to know... what is your favorite rose? 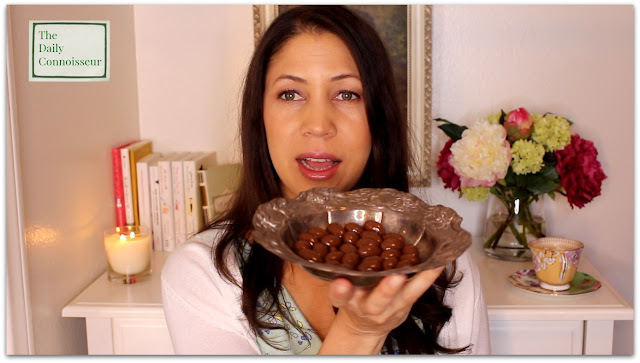 Thank you for joining us today and thank you to everyone who is taking my new eCourse, How to be Efficient at Home. I have thoroughly enjoyed reading your comments on each lecture and it's fun to see you connecting with each other while there. I recently appeared on MacKenzie Koppa's Cultivating the Lovely podcast (hear our episode here). I had so much fun chatting with MacKenzie, I invited her on my channel so I could introduce her to you! MacKenzie is the host of the Cultivating the Lovely podcast as well as The Same Page podcast. I hope you join us for fun, refreshing conversation today as we cultivate the lovely. (There is also a funny story about how we connected!) I hope you enjoy today's video. 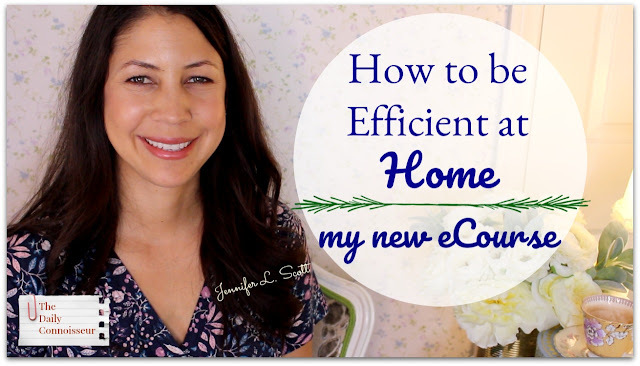 📍My new eCourse, How to be Efficient at Home, is now available. So many of you have taken the course and are connecting together with like-minded Daily Connoisseurs. Much inspiration abounds and you will be motivated to become even more efficient at home. 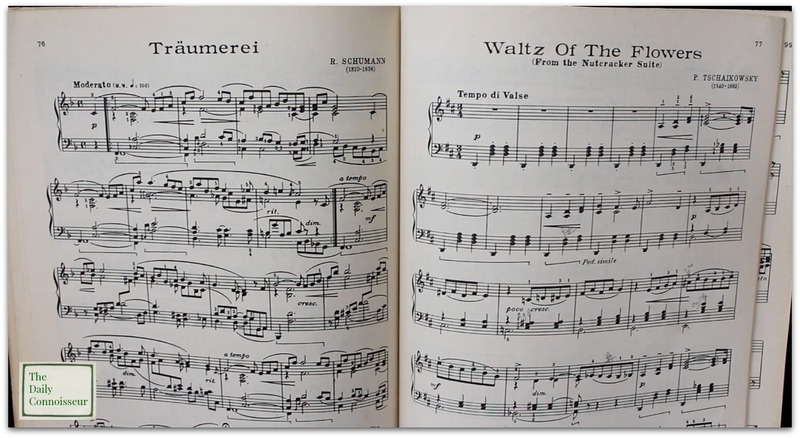 Regarding my piano performance in The Chic March Assignment check-in, Celeste W. writes, "Thank you for playing for us! As a piano teacher, it's rewarding to see an adult who plays for her own pleasure. 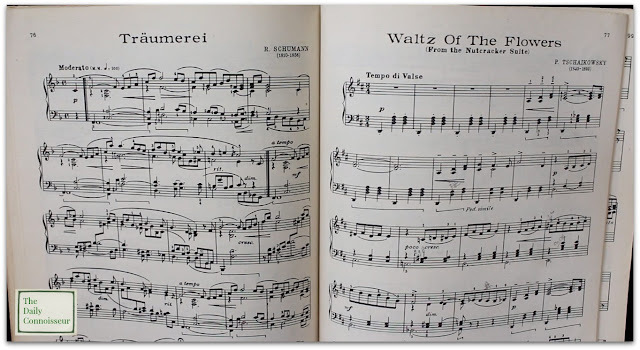 It gives perspective and encouragement about the goal of piano lessons.﻿"
Thank you, Celeste! My performance had many flaws but my message is not to strive for perfectionism, but rather to feed our souls. I appreciate your comment, especially as you are a piano teacher! Thank you! 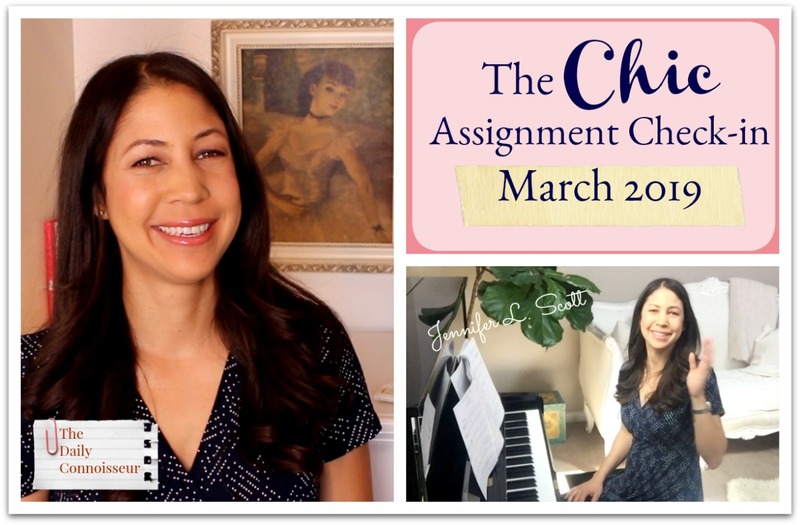 Welcome to The Chic Assignment check-in for March, 2019. This is becoming my favorite series on the channel. 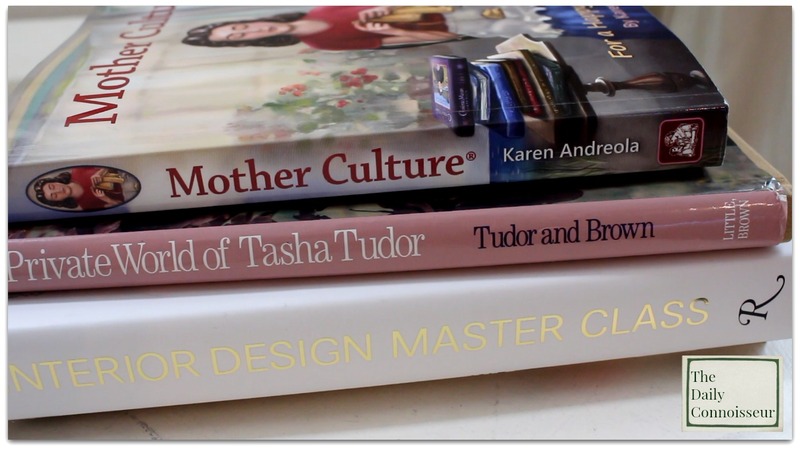 I am enjoying doing these monthly assignments with you and you are giving me so many wonderful recommendations. I'm thrilled and I hope you are too. In today's video, I'm sharing my own updates for the month of March, including a piano performance of the Chopin Nocturne at the end of the video. Hello Jennifer. I enrolled in your new E-course yesterday and watched it all the way through. I had intended to watch it over a 3 day period, but I couldn't stop watching it. I even took notes. I plan to watch this over and over for inspiration. I consider myself a life long learner and enjoy taking classes, but right now I am very busy with motherhood, homemaking,work, etc. So this was perfect! And the best part is I can watch it over and over. This is my favorite of your E courses. Thank you so much for taking your time to create this course! Thank you, Mya! And thank you to everyone who has taken the course. I really do appreciate your support of my channel. 🧺 The next assignment was to spruce up your laundry routine. So many of you said that laundry was your favorite task. Many others said that they found the laundry to be overwhelming. Other shared their top laundry tips. This month I have involved my kids more in the folding of the laundry. I've also strived to do my laundry to completion on any given day. 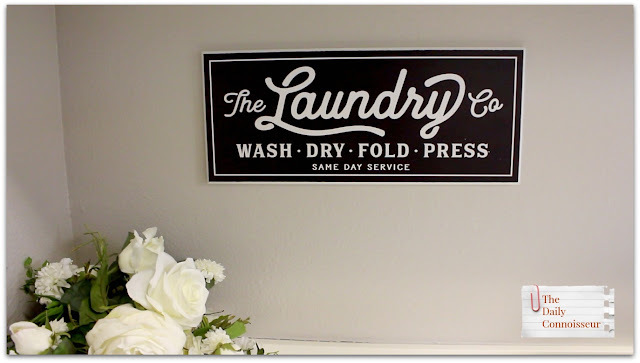 I also have hung up this sign in our laundry room. I don't know why... but this sign brings me serious joy when I walk in there! If you are looking for YouTube inspiration, check out my friend, Nikki's, laundry video, which is so beautiful to watch. I give my interpretation of the painting in today's video. 👗 Finally, we have been getting our ten-item wardrobes ready for the change in season. 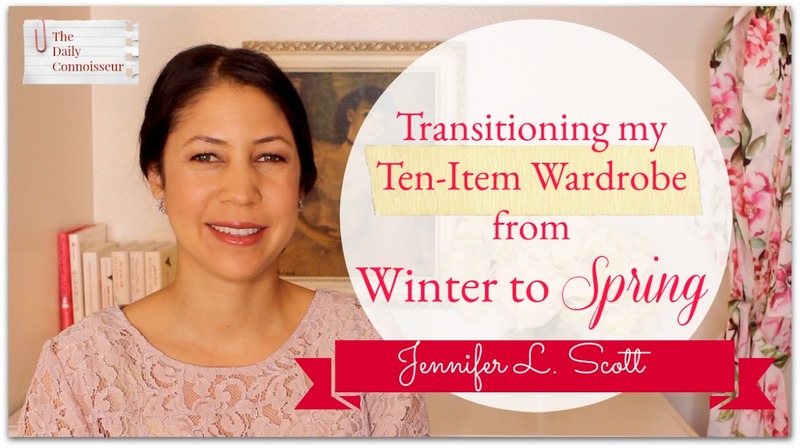 If you haven't already seen my ten-item wardrobe video where I transition my wardrobe from winter to spring, you can check it out here. 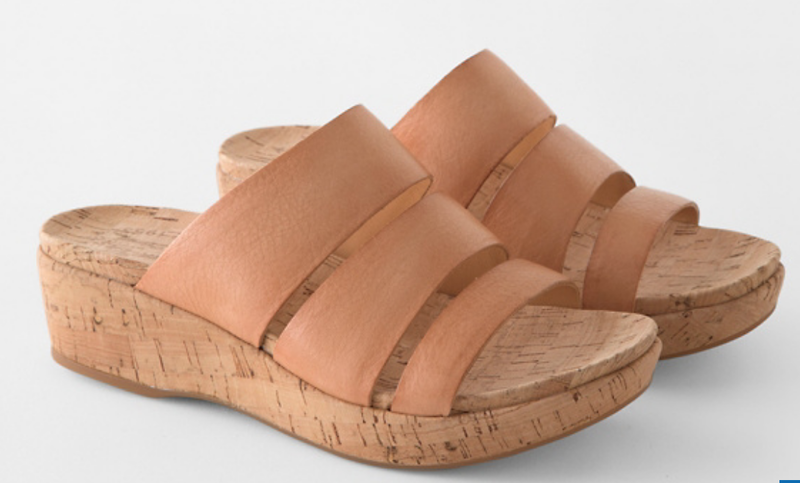 My items from Garnet Hill arrived, the cork wedges (which are so comfortable... I love them!) and my two lightweight sweaters. Also, for more ten-item wardrobe inspiration, check out my friend Robin's video on her spring ten-item wardrobe for 2019. She gives a wonderful example of how to make the ten-item wardrobe work. 📍 Take my new eCourse, How to be Efficient at Home. With over 2 hours of brand new videos, plus text, quizzes and a lively comment section, you will gain valuable insight on how to become more efficient at home. 📍I was a guest on Devoreaux Walton's The Modern Lady channel. 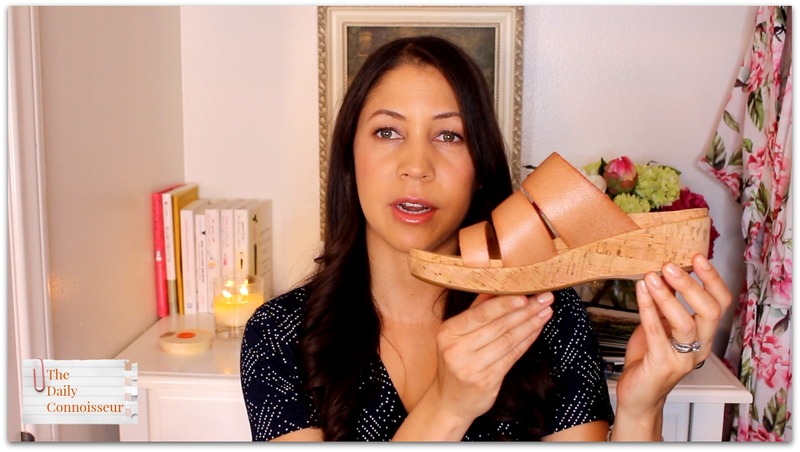 Devoreaux and I discuss 6 ways to be feminine this spring. Check out the video here. Katerina writes, I just cannot adequately tell you how much you’ve changed my life for the better. I am nearly 60 yrs young, and have always hated clothes shopping until 2 years ago when I was introduced to the concept of a capsule wardrobe and your 10-item wardrobe idea. Even my husband has gotten onboard in helping me because he knows what I’m looking for...not racks and racks of aimlessly endless colors and designs, but a navy/white stripped tee-shirt. The time I save!! 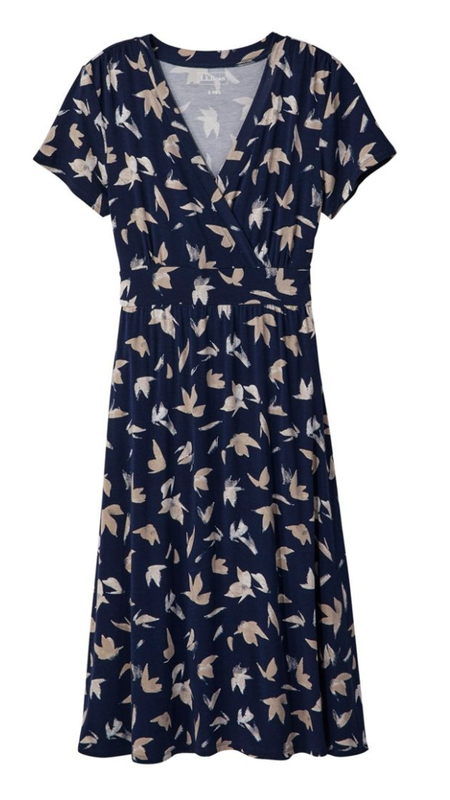 I haven’t worn a dress in a very long time, but yesterday I wore one of the LandsEnd dresses that you’ve recommended with a navy cropped pullover sweater and heels. I got at least 6 compliments(!) and several friends saying “oh my gosh—you have legs!”. Thank you Jennifer. Thank you for your wonderful testimonial, Katerina! I really enjoyed hearing how the books and channel have inspired you and changed your life for the better. Thank you for joining us today. I would love to hear your Chic Assignment updates. Please leave them in the comment section below. I am so pleased to debut my newest eCourse, How to be Efficient at Home, for you today! I have been working on this course for the past several months and have put so much into it. 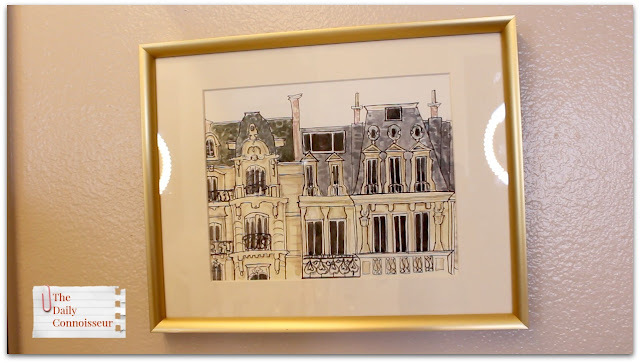 You will find over two hours of brand new videos, plus text, quizzes and a lively comment section full of fellow Daily Connoisseurs who are all interested in living beautifully at home. Experience a total mind-shift in how you look at your domestic tasks, uncover valuable time, and enjoy your life at home through this enjoyable course. You will work on identifying your distractions and making them work for you, establishing early wakeup times and a morning routine, as well as cleaning routines and efficient meal planning. I share my cleaning routines, planning habits, and efficiency secrets, plus so much more in this course. Also offered in this course is a free batch cooking eBook by my friend Kim, from Free to Family. Thank you, Kim for your generosity! As with the other courses, I am offering this one at only $5. This price will last for one month and then I will raise it to $10. (I do this to cover the hosting costs that Teachable charge me to host my courses, which is quite substantial.) Also, I want to offer it at $5 so that it is accessible to everyone and it is not a burden on anyone's wallet. Please watch today's video announcement to learn more. To see my other eCourses, click here. I truly hope you enjoy this newest course. I look forward to connecting with you over there! Thank you for your support. Your support of my work means so much to me. More than you know. 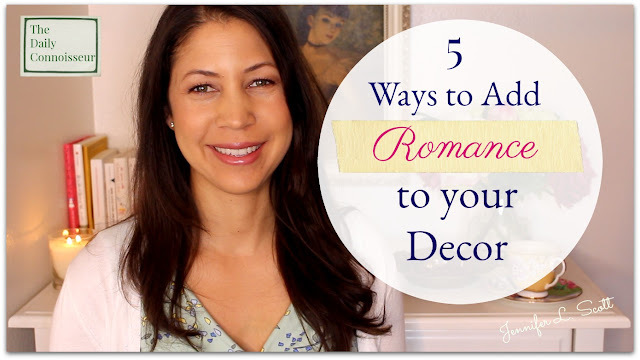 I love candles and always have them in my home year-round. Of course, I tend to burn them more during the fall and winter months, but I still enjoy them in the spring and summertime too. I love the quiet, burning flame and the pleasing scent. They provide a little luxury throughout my day and remind me to stay present and calm. While I love candles, I have never really thought about their natural (or not-so-natural) properties. I frequented the popular candle stores just like everyone else. 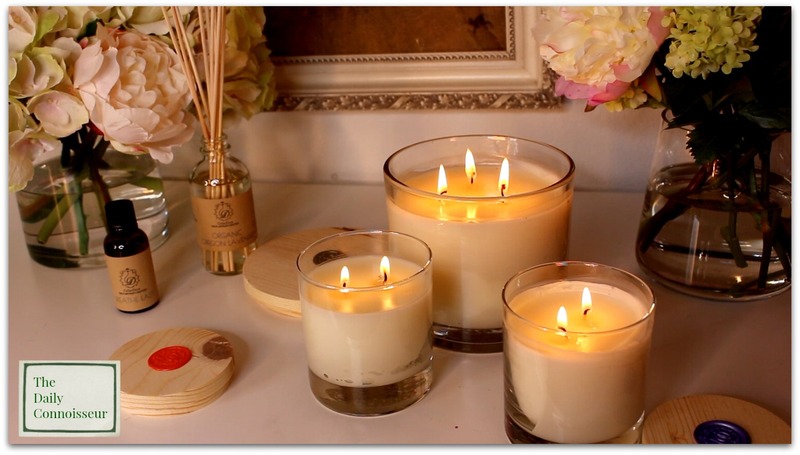 Traditional candles can be full of chemicals and synthetic fragrances. 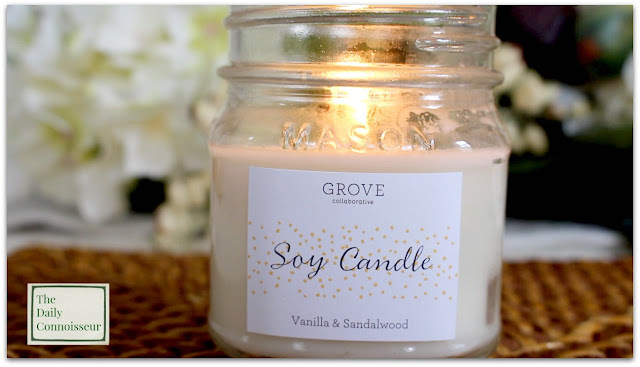 As I go through my home and products to make them more natural, however, I realized I needed to find more natural replacements for my favorite candles. This has been my most favorite post to research. 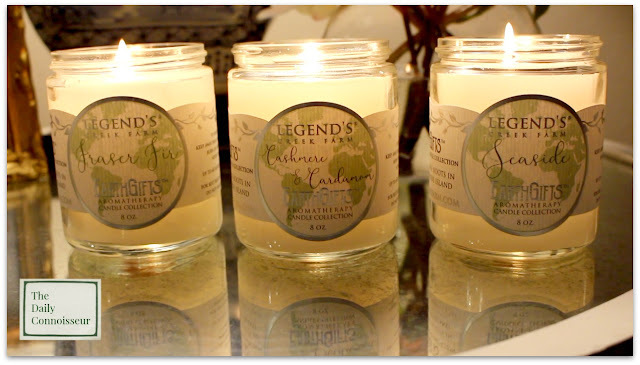 The Sudsy Soapery and Legend's Creek Farm candles were sent to me in care packages from the respective companies. I really delighted in the candles they sent. The scents are all so unique! 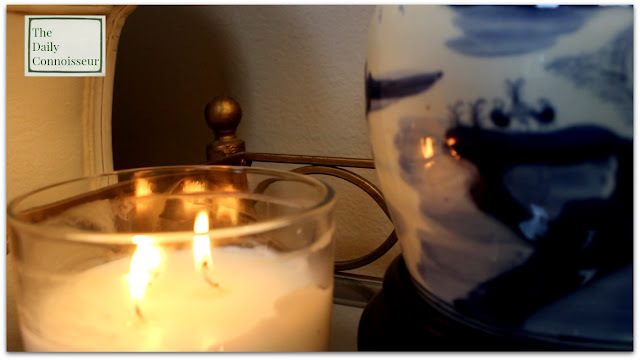 I contacted a few other natural candle companies I found online and discovered Cellar Door Candles, another wonderful small business that is passionate about natural candle making. These small businesses all deserve to be known. It's my pleasure to share their beautiful artisanal candles with you today. 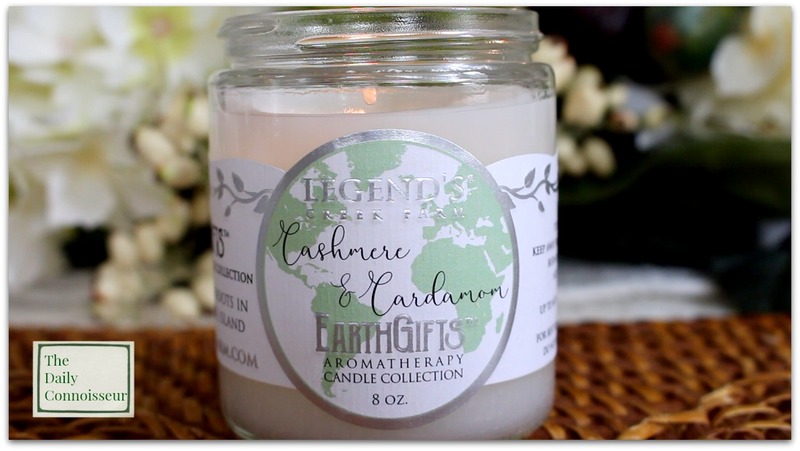 • 100% Chemical free for the entire candle. • Proprietary beeswax and coconut wax blend. • Sustainable, ecologically sound, pesticide-free manufacturing. • Phthalates, parabens and sulfate free. • Unparalleled fragrance integrity (pure essential oils). • Close to 100% waste free manufacturing. • No plastic used when shipping this item. • American made glass container. • Wood lids made in house. 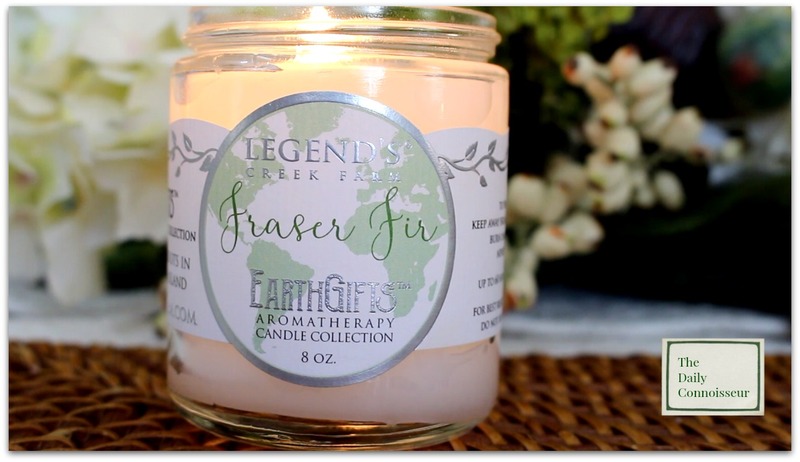 • Hand-poured by Cellar Door Candles. 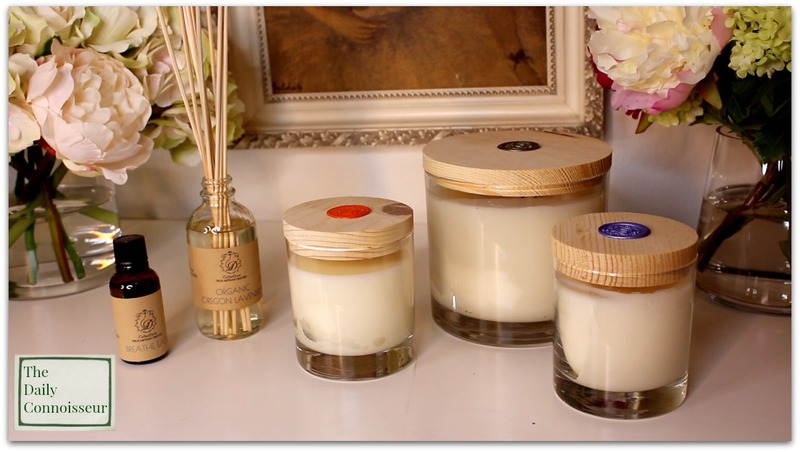 Cellar Door Candles source their raw materials from a local lavender farm. 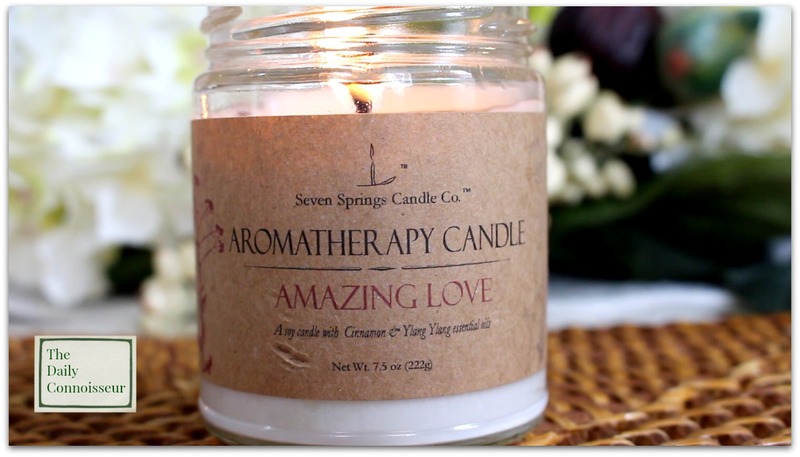 They make their our own wax blend from scratch, and their newest fragrance designs are 100% organic essential oils. The wax they use is a blend of pure coconut oil (coconut wax) and beeswax. Tokyo Citrus Simple, rare and perfect. Four pure essential oils are used to complete Tokyo Citrus: persimmon, yuzu, blood orange & ylang ylang. Breathe Easy Pure Lavender, Peppermint, Eucalyptus & Tea Tree. Four Pure Essential oils blended together at the perfect percentage make up this amazing design. When this candle is lit, it creates an amazing sensation throughout the body. Calming Lavender, Cooling Peppermint, Eucalyptus to open up your senses and Tea Tree to round it out for that slight woodsy euphoric scent. Pacific Northwest 100% unique wood essential oil. Pure Fir Needle & Red Birch. One smell of this blend, will immediately transport you. Walking in the middle of a thick forest adjacent to the river. Sweet, Fresh, Green & Pure. A true connection to nature & earth. These delightful candles come in 8oz recyclable glass jars with metal lids and have up to a 60 hour burn time with regular wick trimming. They use-food grade paraffin wax. 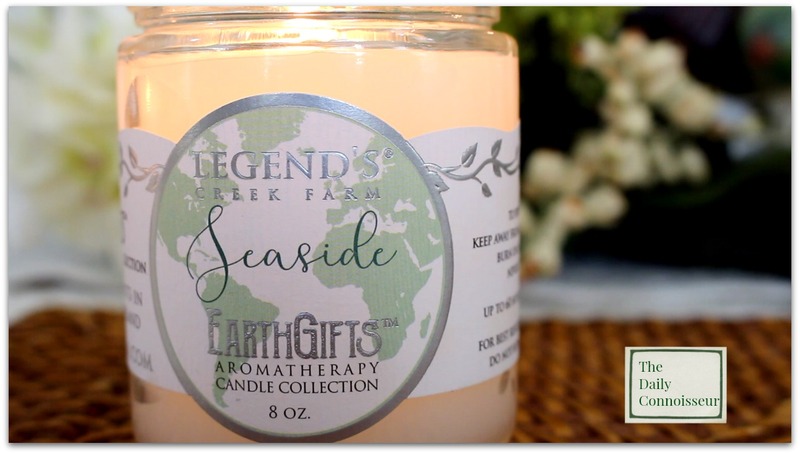 Legend's Creek Farm use food-grade paraffin wax to avoid the use of hexane, herbicides and pesticides. 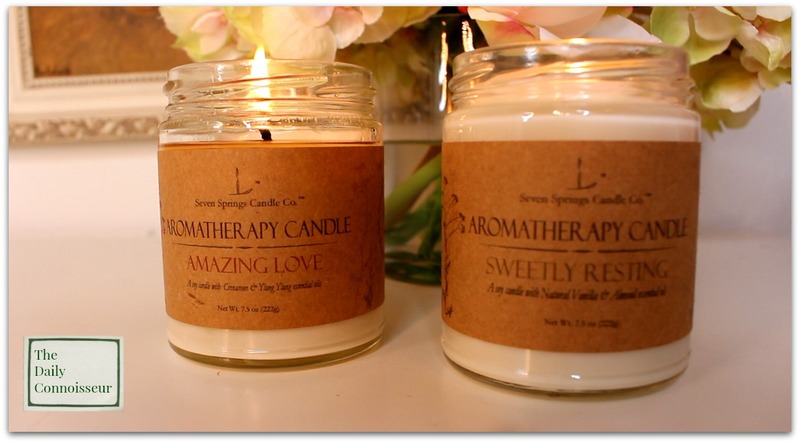 These candles are beautifully scented and really fill the room with their boutique fragrances. Seaside is reminiscent of the sea and reminds me of a chic seaside resort. It is a fresh, ocean scent with so much depth. It is so delightful and unique! I hope you enjoyed today's video on my favorite natural candles. I would love to know which candle sounds like your favorite! 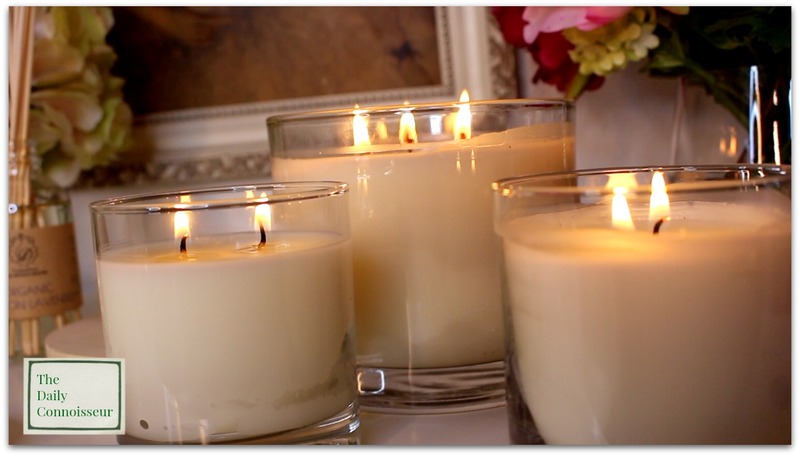 Also, if you have any natural candles you love, please share them with us below. Have a lovely day and I'll see you tomorrow for the launch of my new eCourse, How to be Efficient at Home! FTC: This post is not sponsored and the links are not affiliate with the exception of Grove Collaborative's link. The candles were sent to me for my honest review. I purchased the candle from Grove. Today I'm decorating one of our upstairs bathrooms. It's a very generic and plain bathroom, one I dream of redoing one day. I'm sure many of you can relate! Most of us have dreams of major remodeling or decorating renovations but simply can't afford the makeover. 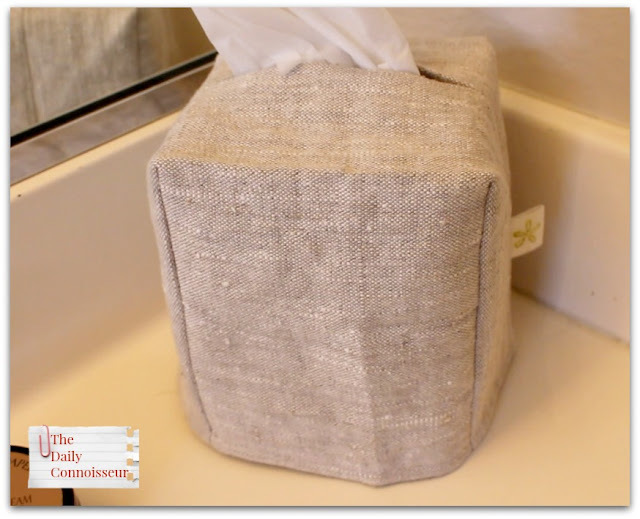 I make the best of our plain bathroom by adding a few special touches. Our countertop is very long and awkward to decorate. I break up the space by adding a taller floral arrangement. I'm using a faux orchid centerpiece from Nearly Natural here because this room does not get enough light to house a real plant. There is a window, but we mostly keep it closed due to the neighboring house being so close. 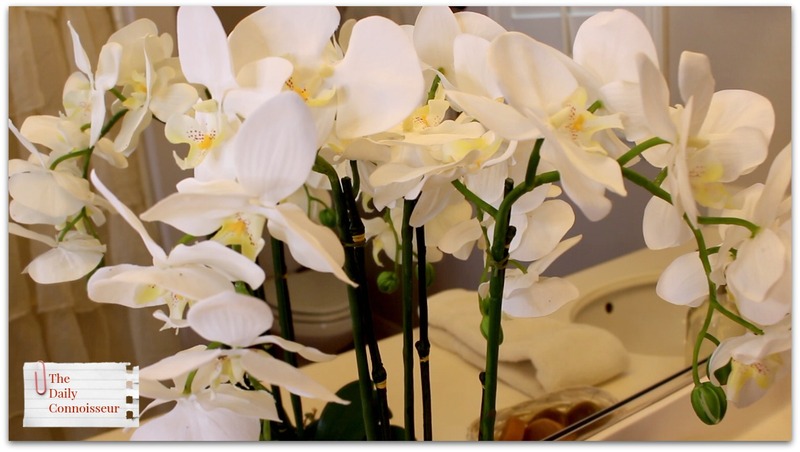 The cascading orchids add a beautiful touch to the countertop. I purchased this print on Etsy from AThingCreated. I love this print so much. It reminds me of the view of the buildings in the 16th arrondissement in Paris. I think I might eventually transfer this print to the guest bedroom, but for now, it is in this space. I purchased the gold frame from Amazon. 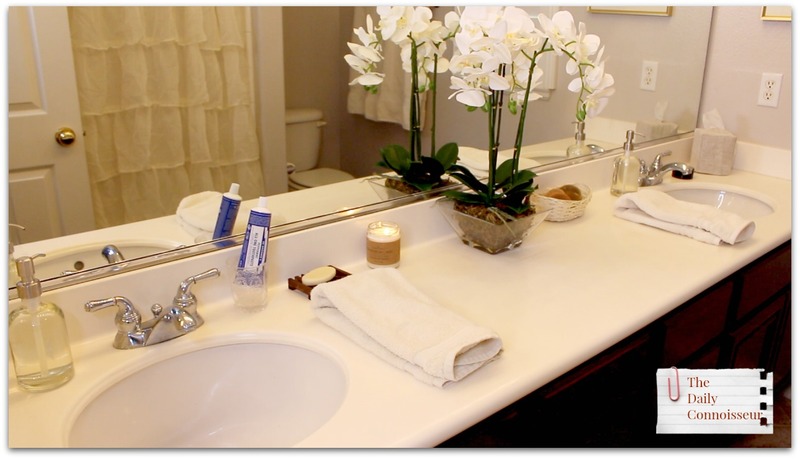 Also featured in the video is the shower curtain (which I still need to steam), the wooden soap tray, and the candle. The hand soap and dispensers are from Grove Collaborative. I really like their hand soap refill. Here is a link to the dress I'm wearing. 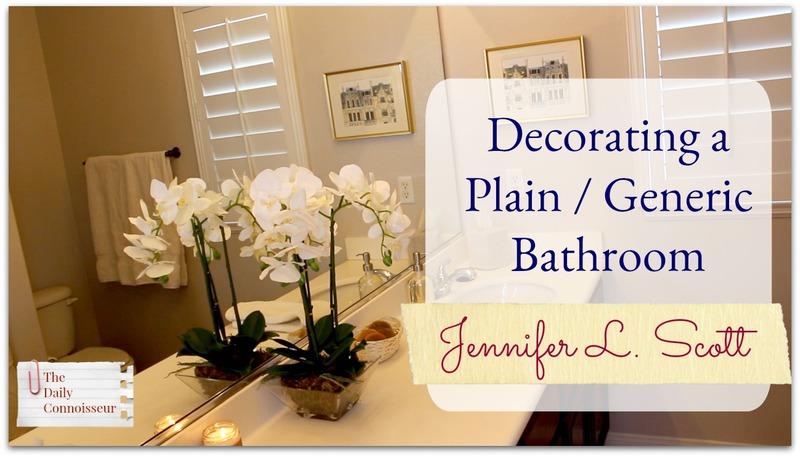 This bathroom is very neutral, but the creams and golds look pretty with the dark wood. I do enjoy the space when I walk in. I hope you enjoyed today's video. I would love to know how you decorate a plain/ generic space in your home. 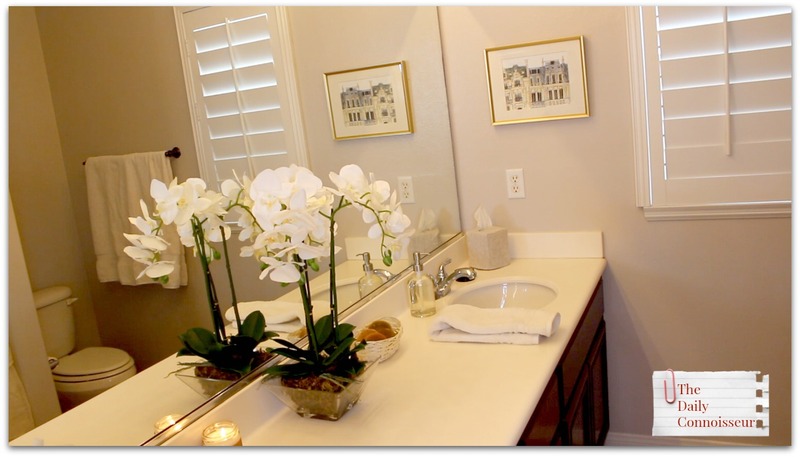 Do you dream of renovating your bathrooms and kitchens? How do you make the best with what you have? 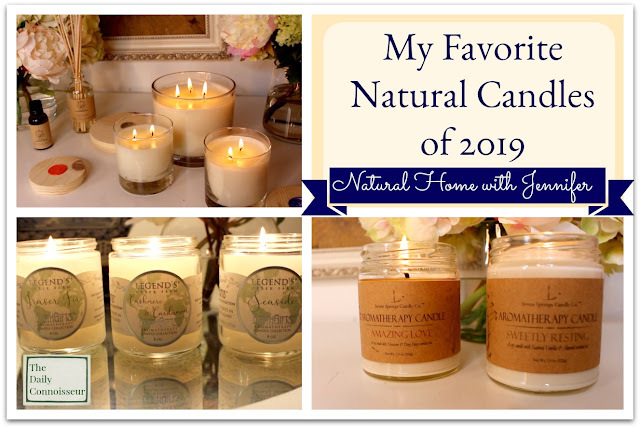 Thank you for joining me today and I'll see you tomorrow on The Daily Connoisseur for my favorite natural candles of 2019. I feel like time is sometimes measured by Mrs. Meyer's seasonal scents! Grove Collaborative sent me Mrs. Meyer's new seasonal scents for spring: peony, lilac, and mint. In today's video I give you my personal opinions and Ben weighs in too. My favorite scent is definitely Lilac. It's beautiful, delicate, sweet, and floral. I found peony to be lovely but a bit cloying and mint was fresh, green, and floral (but not very minty). Have you tried the Mrs. Meyer's spring scents? Which one was your favorite? Grove's spring special is here. 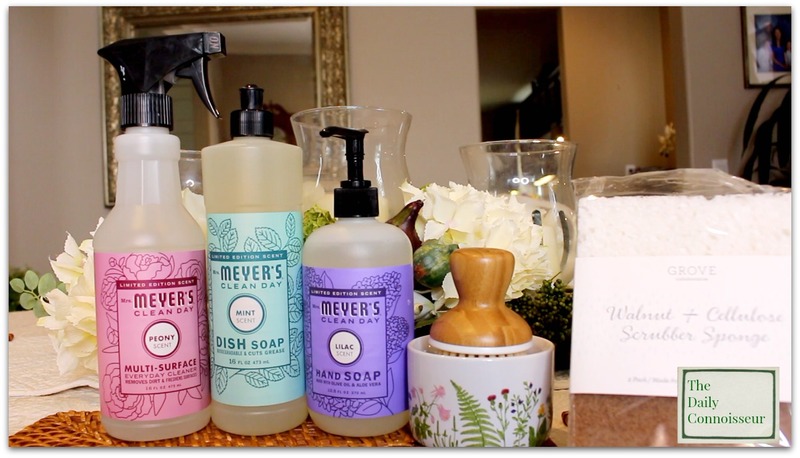 New customers receive a free Mrs. Meyer's spring set: dish soap, hand soap and multi-surface spray, as well as the Grove spring bubble dish scrubber and walnut scrubber sponges. Existing customers always receive free walnut scrubber sponges with my link. I hope you enjoyed today's fun review. I'll see you on the blog tomorrow for a guest bathroom decor video. 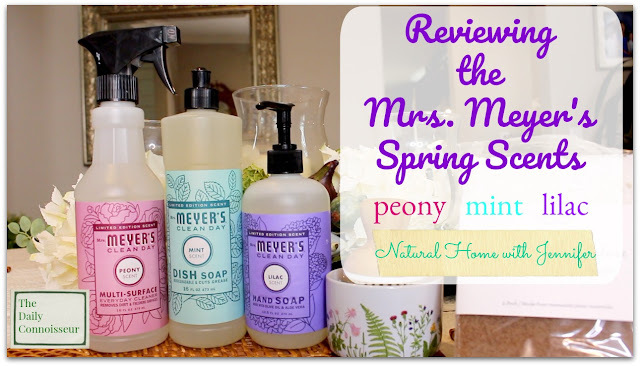 I would love to know which Mrs. Meyer's scent is your favorite! FTC: This video is not sponsored. The Mrs. Meyer's seasonal link is affiliate. The products were sent to me for review. All opinions are my own. As part of The Chic Assignment for March, we are preparing our wardrobe for the upcoming season. 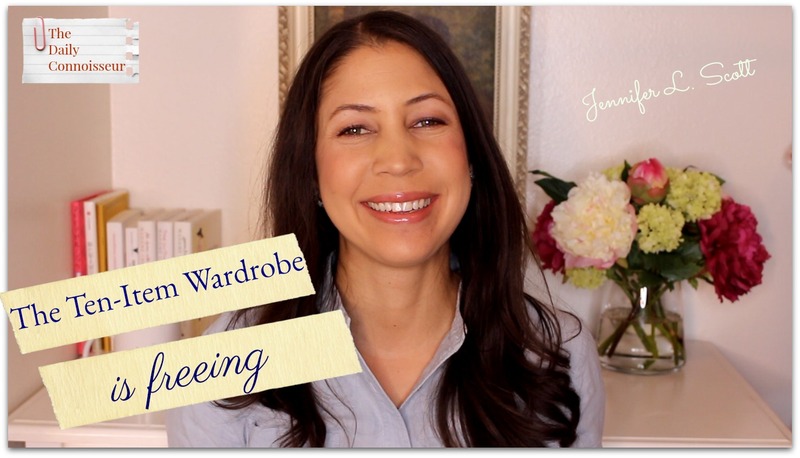 In today's video I talk through my ten-item wardrobe transition process from winter to spring. What will stay and what will go? Also, what will carry on into the next season? Lands' End jeans (picture taken from Lands' End) These flat-front jeans are staying with me into spring. I plan to roll up the cuff and wear them with sandals. 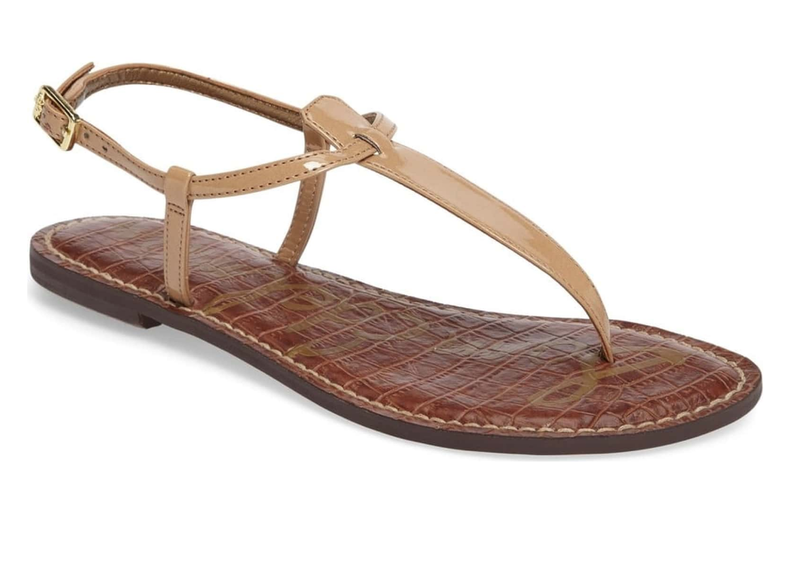 They go nicely with my lace tees from Loft, as well as my returning TJ Maxx red blouse. They also look good with my striped tee shirts. 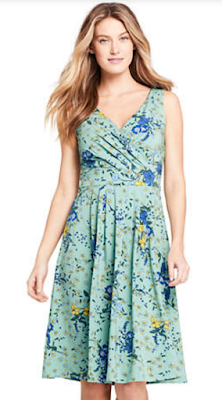 LL Bean Knit Summer dress These are the perfect dresses. Seriously. If I were to choose a "uniform" this would be it. They are the perfect fit. They're comfortable. They're the perfect length and beautifully presentable. As well as the Garnet Hill sweaters, which (if they fit) I plan to layer over the dresses. 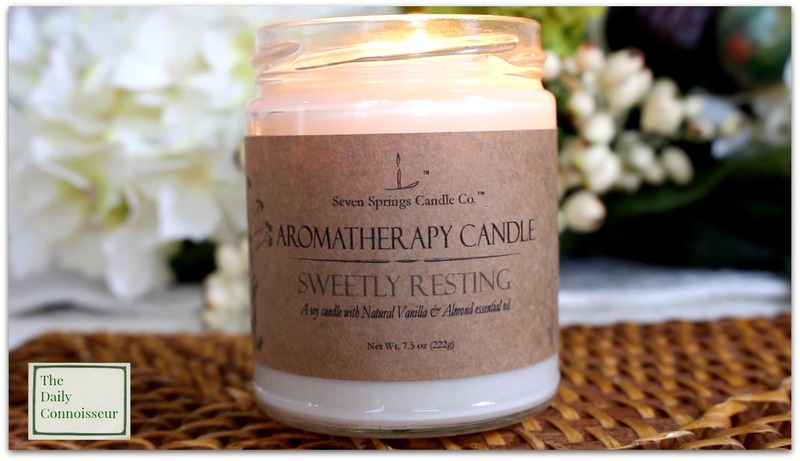 The candle I'm burning is Breathe Easy by Cellar Door Candles. The flower arrangement is by Horchow. 📍Did you see our latest Bloopers & Family Outtakes video I posted on Saturday? Sometimes I post videos only on YouTube. Make sure you're subscribed by hitting the red subscribe button. Then click the "bell" to be notified by email when I upload a video. Subscribing to my channel is totally free. Nicole H. writes, "I’m not sure if you remember me from a comment a year ago, but I thought I’d tag in with you again and give you an update! It is my 1 year anniversary as a Daily Connoisseur and I wanted to thank you from my heart! I am going through the Madame Chic Books again, and plan to read them through each year. 1. My husband is so grateful that I make an effort to provide a delightful breakfast complete with Bach For Breakfast playing in the background. He says he feels so sophisticated. Haha! 2. My mom, sister and I phone each other about you and the wonderful things we learn from you all the time. 3. My routines have been changed from bad habits and I’m constantly reevaluating them to see what can be improved. 5. I ENJOY laundry and look forward to it each day!!! 6. I’m still not at a ten item wardrobe but I am honing in on my personal style and it’s been so much fun. I am certainly benefiting from the smaller closet!!! Like I said, these are just a few, but mostly importantly, I enjoy caring for my home each day and the results have been a breath of fresh air. Thank you for all you do and I genuinely hope that one day you will go on tour again and I will get to meet you to thank you personally for the positive impact you have had in my life! I’m excited about your e-course coming out next week and your book this July!! Nicole, thank you for your lovely comment. I really enjoy when readers update me on their lives. Your encouraging comment is so appreciated and motivates me to keep going. Thank you for being a part of this blog and channel! I would love to know... how is your ten-item wardrobe coming along? Are you struggling in any areas? Have you had any breakthroughs? Let us know and your comment could be chosen as comment of the week on the blog. FTC: This video is not sponsored. Some links are affiliate.